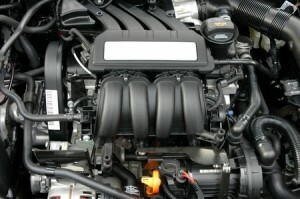 Belts and hoses serve some of the most integral functions in keeping your car running properly. Belts ensure that your internal components move as they should, and hoses help liquids and gases move throughout the engine compartment and around your vehicle. If a belt breaks or a hose gets a leak, you’ll be in big trouble, so it’s very important to take steps to prevent issues from occurring. If you’re like most people, before you drove a car you traversed your neighborhood on bicycle. Just like the belts in your car, the chain on your bicycle was the lifeblood of getting around. Ever try to bike up a hill with your chain unhinged? You couldn’t do it, because your chain was responsible for turning your tires. The belts in your car act in a similar manner in controlling many essential functions for movement. For example, your timing belt helps synchronize the movement of your car’s camshaft, and your serpentine belt is responsible for turning your alternator and air conditioning compressor. Over time and thousands of twists and turns, your belts can develop soft and hard spots. If left untreated, these areas can become susceptible to breakage. When a belt snaps, you can become stranded or cause thousands of dollars in damage if your internal components get off track. Hoses are similar to belts, only instead turning and rotating, they help circulate liquids and gases throughout your vehicle. One of the more common hoses for issues is the radiator hose, which is responsible for transporting hot coolant from the engine to the radiator for cooling. If there is a hole in your radiator, your engine won’t be able to cool properly. One way to prevent holes from forming in your hoses is by preforming regular checks. If you notice any cracks, leaks or hardening, you’ll want to get the hose replaced because eventually it will lead to a bigger issue. 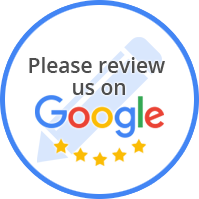 If you are having issues with your belts or hoses, or if it’s been a while since you had a professional inspect them, stop on in to Affordable Auto today.